We’d love your help. Let us know what’s wrong with this preview of Literature by Janet E. Gardner. 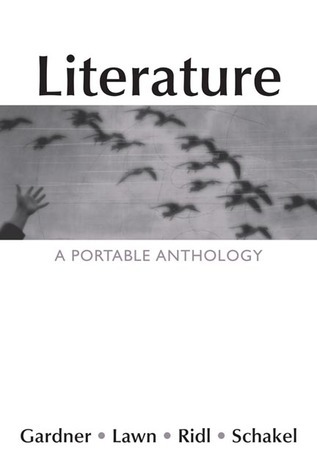 With a handy size and a very affordable price, this collection offers a well-balanced selection of classic and contemporary literature — 40 stories, 200 poems, 9 plays — for the introductory literature course. The literature is chronologically arranged by genre and supported by informative and concise editorial matter, including a complete guide to writing about literature at the back of the book. This volume in Bedford/St. Martin’s popular series of Portable Anthologies and Guides offers the series’ trademark combination of high quality and great value. To ask other readers questions about Literature, please sign up. Covered more material in this book than I ever thought possible. Save a few plays and shorts stories I'm pretty much finished. Also seems like no matter what I read by Faulkner, I just don't like his stuff.